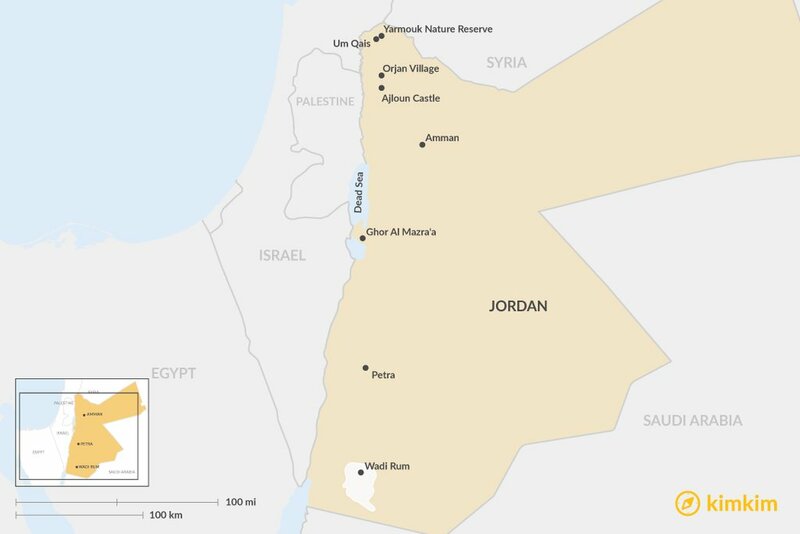 The idea of family is central to Jordanian culture, so it should come as no surprise that Jordan is an incredibly family-friendly destination. From north to south, Jordan offers active, educational adventures for travelers of all ages. 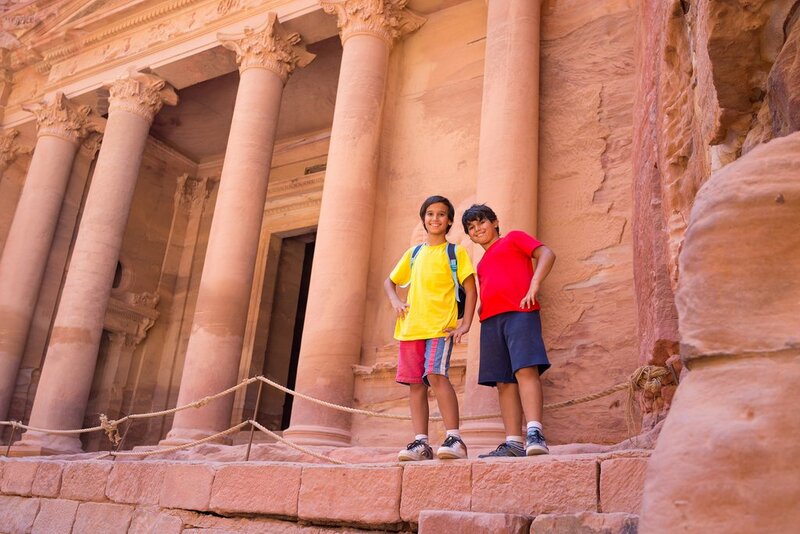 Jordanian hospitality makes Jordan one of the most family-friendly places on the planet. As visitors to Jordan, you are likely to find friendly locals at every turn - welcoming you to their country, inviting you in for tea, and engaging you in conversation. Throw in the abundance of adventure in such a picturesque setting, and you and your loved ones are bound to create memories to last a lifetime. Here are a few of the many family-friendly activities to try on your north-to-south journey through Jordan. Jordanians are known for their hospitality, and there is perhaps nowhere better to experience this than the sweet and sleepy village of Um Qais. 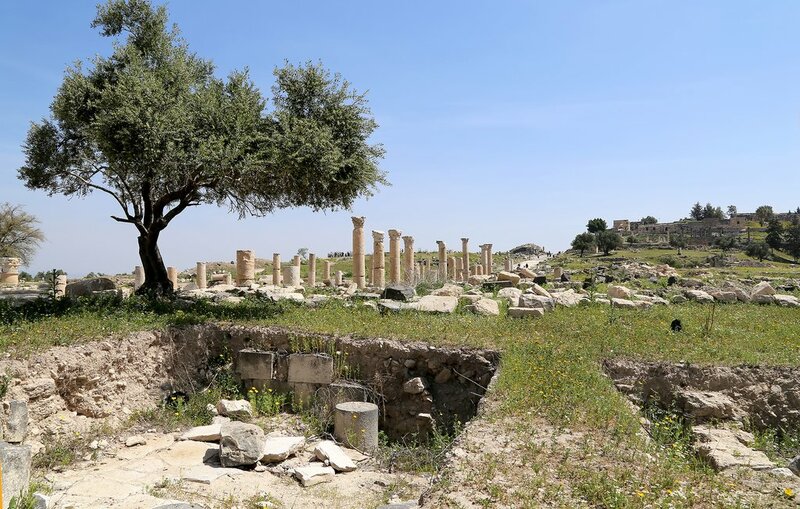 Spend your morning wandering the Yarmouk Nature Reserve or the ancient Greco-Roman ruins of Gadara with a local guide. Forage for your lunch on a farm or in the forest and learn to cook local flavors in a Jordanian family kitchen. Enjoy an afternoon bike ride, beekeeping, or basket weaving lesson from a local expert before watching the sun set over the Sea of Galilee while goats graze on the nearby hills. You'll need at least a day or two to take it all in. For an overnight stay, Beit Al Baraka is a lovely guesthouse with a bountiful breakfast, gorgeous views, and a community-driven mission to provide economic opportunities for locals and authentic experiences for visitors. Whether you are heading on to Jerash or further south to Amman, be sure to save a day or two for the Ajloun area. 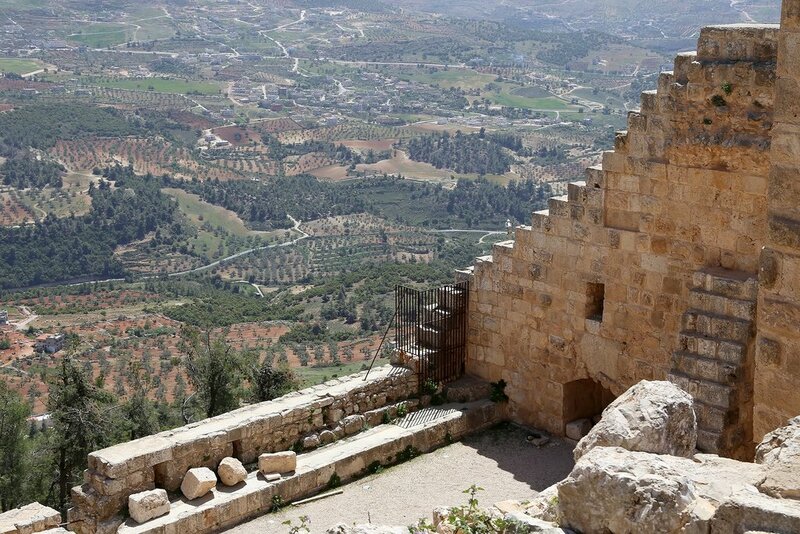 Pay a visit to Ajloun Castle for a bit of history and panoramic views of the surrounding woodlands and olive groves. It’s a casual, family-friendly walk to the top, but be sure to wear comfortable shoes and watch your step on the stone stairways. Take a hike through Ajloun Forest Reserve and enjoy the shade of evergreen oaks and pines. Ask a specialist or local guide when and where you might find wild pistachio and strawberry trees. Or visit in the spring when wildflowers like anemones and rock roses paint the forest floor in pinks, purples, reds, and yellows. For a glimpse into local life (and a taste of the local produce), break some Arabic bread with a Jordanian family and book an overnight homestay experience in nearby Orjan Village -or if you prefer to fall asleep near nature and wake up to views of the reserve, Ajloun Cabins offer a peaceful stay on the edge of the forest. Don’t let the honking horns and modern buildings of Abdali fool you: Amman has an ancient heart, and your family can experience some of it with a trip to Jebel Al Qala'a (Citadel Hill). The iconic Temple of Hercules and Ummayad Palace provide a history lesson, as well as stunning views that serve as a perfect backdrop for family photos. 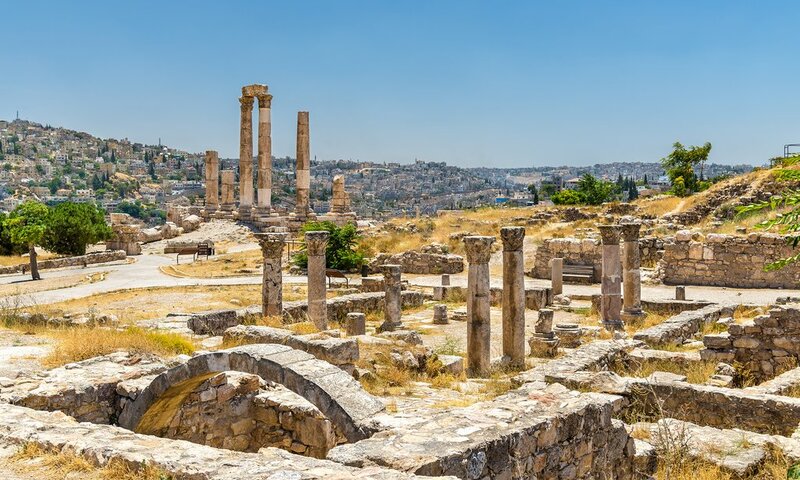 Be sure to book a guide who can offer a more in-depth understanding of this significant site, or opt for a longer kid-friendly walking tour of Amman's colorful neighborhoods. If you’ve got little ones to entertain, The Children’s Museum is a must. Stretching across more than 7,000 square meters (nearly two acres), the museum offers 150 indoor and outdoor exhibits and educational facilities to explore, including the recently renovated Secret Garden, and year-round special events and educational programs. 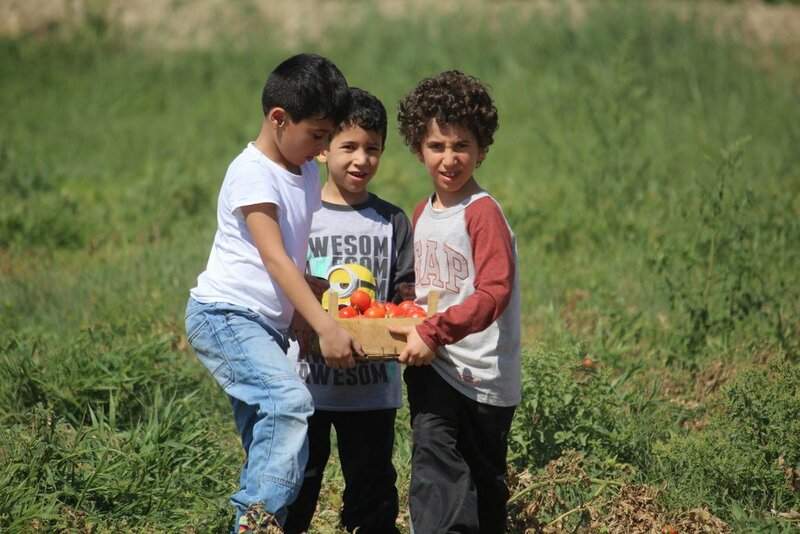 Despite the wealth of produce the Ghor Al Mazra'a (Jordan River Valley) agricultural community provides, the rural people from the region have historically experienced discrimination and negative stereotyping by city dwellers. The Zikra Initiative set out to change this with a mutually beneficial tourism exchange program. Locals from Amman and foreign tourists alike can visit the Ghor Al Mazra’a community to hike with local guides, make crafts, harvest alongside community members, and feast on the foods found in the Jordan River Valley. Visitors bring funds into the community, locals share their knowledge and serene setting, and everyone has the opportunity to take away memorable experiences and understanding. It’s no secret that the historical ruins of Petra are ripe for exploration, and you'll definitely want to spend a day or two trekking around the trails and tombs. Petra is massive and some of the trails can be challenging (particularly in the summer sun), so it’s best to arrange a guide who can select routes suited to your family’s skill level and interests. Don’t lose so much time in this Lost City that you miss the chance to check out other activities the area has to offer. 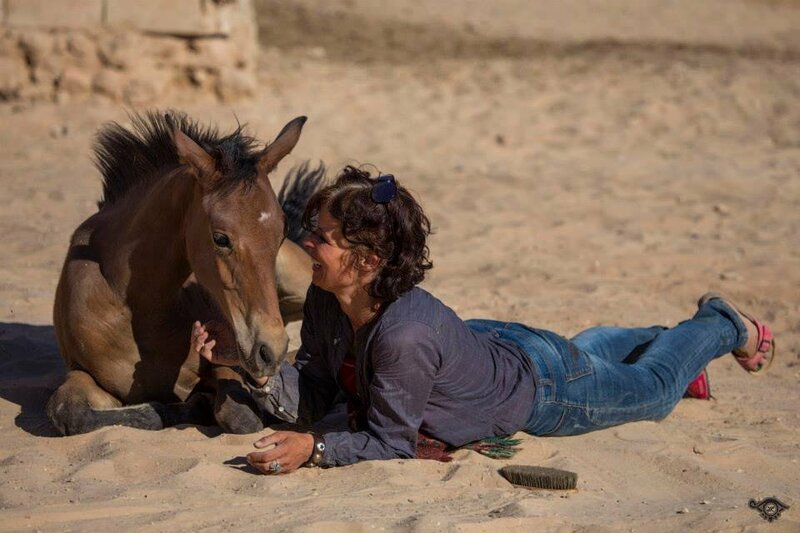 After exercising your body, open your mind to a yoga class or an equine-guided "soul session" in nearby Little Petra. Yoga is open to all ages and can be customized to your skill level. The minimum age for horse soul sessions is five years old with parent participation. 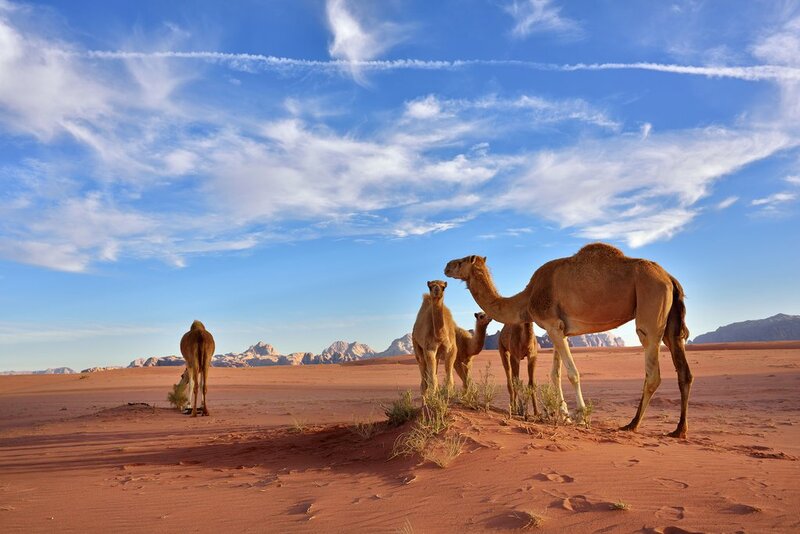 The wide open spaces, gigantic rock formations, and desert dunes of Wadi Rum are not only the setting for several famous films; they also provide a natural playground for endless family-friendly adventures. Take a jeep tour and bounce through the desert with the sun on your face and the wind whipping your hair. Or, if you prefer to move at a slower pace, climb aboard a “ship of the desert” and see the changing views from the back of a camel. If you’d rather keep both feet on the ground, let a guide lead you on a desert walk where you can learn about local life, landscapes, plants, animals, and the history of this important region. For a memorable experience, we recommend at least one overnight at a local Bedouin camp, where the evening often ends with a Bedouin BBQ, music, and dancing around the campfire under the stars. The Valley of the Moon is one of the best spots to stargaze, so don’t forget to lay back and look up at the end of your active day. Inquire with our specialists about booking a camp or accommodations that are the best match for your family. Extreme desert temperatures can make summer and winter travel a challenge for little ones. Consider booking a spring (March-May) or autumn (October - early November) adventure, when temperatures are much more bearable. A bonus for a springtime visit: the wildflowers put on a colorful show, particularly in the northern part of the country. Public transportation can be unpredictable and uncomfortable for children, so it is best to book a car and driver. Or, if you are licensed to drive internationally, you can rent a car. But be warned: traffic in Amman can be frustrating, so try to avoid daily rush hour whenever possible, and keep in mind that you need to allow extra time to get where you are going. When booking accommodations in Wadi Rum and Little Petra, be sure to ask how many beds are included, as some camps may only offer one or two beds per tent. 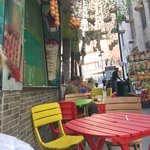 In Amman, it's wise to inquire about the placement of your room - this is another city that never sleeps, and street noise can be an issue on any night of the week. If you or your kids need undisturbed sleep, ask to be placed on a higher floor, facing away from the street, preferably in a hotel with soundproof windows.